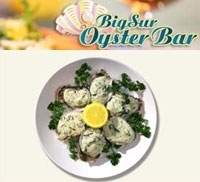 Big Sur Oyster Bar is a Las Vegas seafood restaurant located at South Point Hotel & Casino. At Big Sur Oyster Bar, guests can watch the fresh catch of the day be prepared right before their eyes in the Big Sur Oyster Bar open kitchen. Big Sur Oyster Bar's food team makes this Las Vegas seafood restaurant fun and convenient. OPEN HOURS Mon - Fri: 12 PM to 12 AM. Sat - Sun: 11 AM to 12 AM.